What is the connection between Yom Ha-Atzmaut and rationalism? I would like to suggest that the rationalist/ non-rationalist divide serves to explain one very minor aspect of the dispute between those who celebrate Yom HaAtzmaut and those who do not. When I was in yeshivah, I remember that we all viewed the Biblical and Talmudic era as being something like Tolkien's Middle-Earth. There were giants, dwarfs, fabulous beasts, and magicians. Our revered ancestors possessed extraordinary powers; Chazal could instantly incinerate people by looking at them, and any of the Avos would be able to defeat hundreds of people in battle without even raising a finger. These people were of perfect character and of a spiritual level that we cannot even begin to start to attempt to grasp in the slightest degree; if we were to even look at them, we would drop dead. In the wonderful sefer Sichas Chullin, which explains the topics in Maseches Chullin with the aid of diagrams, the author apologizes for including simple illustrations of people involved in slaughtering animals, etc. ; he assures the reader that these are certainly not intended to be depictions of Chazal, "who have the visage of a Seraph, and no person shall see them and live." (Which is paraphrasing a verse referring to God, not man.) And this is Chazal; the figures in Tenach were many orders of magnitude greater. These, it was considered, are the type of people who are involved in events of religious significance. Super-special people; not ordinary people like you or me, and certainly not irreligious people. I think that this perhaps contributes to the Charedi unthinkability of attributing religious significance to the State of Israel and its victorious battles. How could there be religious significance to events in which the pivotal people were ordinary folk, and in many cases not even religious? People with a more rationalist outlook, on the other hand, don't look at people from the Biblical and Talmudic era as being that different from people today. Accordingly, it is perfectly possible for people of today to be involved in events of monumental religious significance. But what about the claim that monumental steps towards the Messiah’s arrival cannot possibly be driven by secular leaders? This argument holds no weight. The Bible, especially in the book of Kings, reveals that God is willing to perform great miracles and brings salvation through individuals far more anti-religious than any of the state’s secular founders and leaders. King Ahab, who married a non-Jew, encouraged idol worship and stood silent while his wife killed prophet, was told by a prophet that he would lead troops to miraculous victory (see Kings I 20:13-14). Omri, identified as a greater sinner than all the wicked Jewish kings before him, (Kings I 16:25), merited a long-lasting dynasty because he added a city to the Land of Israel (Sanhedrin 102b) despite the fact that his intention in adding that city was to eliminate Jerusalem as the focus of the Jews! The secular leaders of the State of Israel most certainly have more noble intentions in building Israeli cities and, thus, can certainly merit playing a role in the redemption process. Kings I, Chapter 14 describes Yeravam as a terrible sinner who caused others to sin, as well. Despite his sins, he led the Jews to victory in restoring the borders of Israel. The Bible its elf explains that the time came for this “redemption” and God used whoever the leader was at the time, despite his being irreligious. As I mentioned above, though, all this only explains one very minor aspect of those who do not celebrate Yom Ha'Atzmaut. The main reason, especially today, has very little to do with halachic or religious positions, and a lot more to do with sociological factors. See my monographs on "The Novelty of Orthodoxy" and "The Making of Haredim" to understand why the notion of being a fully participating citizen of the State of Israel, and the very idea of incorporating a new entity (The State of Israel) into one's religious worldview, is entirely at odds with the isolationism and traditionalism of charedi society. They'd be uncomfortable with it even if the Ribbono Shel Olam Himself were to say that it's kosher. I think that one factor in the Haredi failure to recognize the awesome significance of the return of Jewish sovereignty to Israel after many centuries of Exile is the very fact that we had been in Exile for so very long, causing us to sink into a national, psychological dream-like state, making us believe that we can only be saved by Mashiach coming on a red carpet when in fact Redemption is in our own hands if we simply do the right things ourselves. We ourselves need to make aliyah. We ourselves needed to create a State and an army. We ourselves need to reconvene a Sanhedrin. We ourselves need to rebuild the Temple. One of our biggest problems are the "mashiach fairytales" which prevent us from getting our act together as a nation. Yes, one day there will be a leader who will be recognized as Mashiach. But, not this does not mean that we must not do those misswoth which are incumbent upon us. Another problem non-rationalists have with Yom-Haatzmaut is that they refuse to give it religious significance because they believe that the Torah basically "never changes." How could a new religious concept enter the world. Of course they miss the point that even the Torah changes to a certain extent. Halacha develops.The way the halacha is nowadays is probably not what it was like 2,000 years ago. There is nothing wrong with adding a new day of religious significance to the Jewish calendar. However they somehow believe that since the holy Chazal didn't mention it (and they represent the immutable Halacha) how could we make it into a holiday. There are many instances where Chazal have praised irreligious and even non Jewish people for their positive traits and influences without hesitation. Can we stop with the anonymous comments, please? Post a name, preferably your own, otherwise a pseudonym. >>>> There is nothing wrong with adding a new day of religious significance to the Jewish calendar. here is an interesting fact to mull over. Thanks for giving me a new perspective on why the Haredim have such a hard time acknowledging Yom Ha'atzmaut. Up until now the arguments I have heard rested on the lack of "religious significance" of the day, or the fact the we are not supposed to make "new" holidays (how did Hanukkah manage to make it-especially considering how the Hashmonaim family degenerated?). To me it is incredible that religious people refuse to acknowledge G-d's hand in giving us the greatest kibbutz galuyot (Ingathering of the exiles) since the Yetziat Mitzraim and building a gigantic world of Torah. I thought religious people were supposed to see the hand of G-d in everything that happens, and all the more so in Eretz Israel. When you said the hasmonean family degenerated and therefore we shouldn't celebrate and what about purim why are we celebrating that if there are no more amalekim and that yom hatmaut also why are we celebrating it still if David Ben gurion is non religious and died and there is also loads of impurities in Israel so why are still celebrating it then. One can be a rationalist and still not celebrate Yom Ha-Atzmaut as a religious holiday. One can acknowledge that the existence of the modern State of Israel came about through miraculous means and still not celebrate Yom Ha-Atzmaut as a religious holiday. I buy the idea that we don't have the halachic authority to create new religious holidays. Hannukah was established by the Anshe Knesset Ha'Gdolah, a religious body we no longer have. correction to my last comment ... YK was NOT a normative holiday in Nech. 8. Could it be just that the state of Israel was founded by secular anti religious people and does not follow Torah law (whether or not that is good). They also did not mention G-d in the deceleration. Accepting the state with a celebration is different to seeing the fact and significance that so many Jews are living and returning there and so many yeshivahs (more than ever)exist. You can celebrate and praise one without the other. why do not take the anonymous option away? This post and your last post make the same mistake. And frankly, I'm a bit insulted. I believe strongly in the sephirot. I prefer the Ramban over the Rambam in hashkafic issues. I also greatly enjoy saying Hallel on Yom Ha-atzmaut. I think its a great holiday, and those who do not celebrate it are creating klipahs in this world and hurting the Jewish nation. I do not think you would call me a rationalist. And no rabbi has ever told me I'm not allowed to be on the internet. Just like the last post, you equate "non-rationalist" with Charedi. It is very insulting, and largely inaccurate. Very true. I think this conception of Biblical times as a fantasy setting keeps people from thinking about the practicality or reality of events described in Tanach. We don’t worry about the physics of giant’s skeletons or how dragons fly in fantasy settings. It’s magic. Very well put. I think your post also can give some perspective on the discussion earlier as to how to achieve spiritual inspiration through a rationalist approach. It is in this very possibility -- that all of us, working as ordinary people in history -- are part of something divine and momentous, if we only open our eyes to see it. What about Rav Kook who was certainly not a rationalist and saw mystical significance in the Zionist movement? "People with a more rationalist outlook, on the other hand, don't look at people from the Biblical and Talmudic era as being that different from people today." I invite readers to give examples of rabbis who are considered rationalists who do treat the Biblical and Talmudic personalities as quite different from people today. -- If there are any, of course. The antitude towards the Medinah generally would of course be mirrored in the attitude towards Yom Ha-Atzmaut. The midrash as to the "Shalosh Sevuot would be IIUC important in that regard. 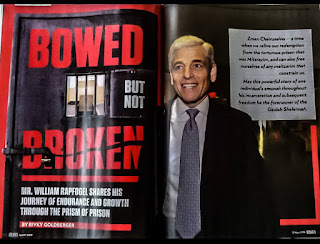 When I explored this issue, the charedim I spoke with explained that their objection to Yom Ha-Atzmaut arises out of the probation Jews have against creating their own state before the coming of Moshiach. Shlomo Hamelech in Shir-hashirim instructed the “daughters of Jerusalem” three times “not to arouse or bestir the love until it is ready.” The Talmud in Tractate Kesubos 111a explains this language and states that until Moshiach arrives: (1) the children of Israel shall never seek to reestablish their nation by themselves; (2) the children of Israel never be disloyal to the nations which have given them shelter; (3) that the nations shall not oppress Israel excessively. Some Jews counter that because certain nations violated their oath not to oppress us excessively, we have a right to take back the land. The problem with this argument (setting aside the Maharal’s position) is that nothing like it was ever argued throughout our history until the creation of the State. Other Jews suggest that the United Nations vote that permitted us to take the land nullified the three oaths. But Great Britain, who controlled the land, abstained. Still other Jews mention the miracles of the six day war (and others), but these miracles can easily be understood as Hashem protecting Jews from annihilation after the holocaust decree ended, and not as an endorsement of the State. Finally, the State has highly problematic origins that lead some Jews to reject Yom Ha-Atzmaut as a day of “monumental religious significance.” There are many documented examples of German offers to sell Jewish lives in Eastern Europe that were blocked by Jews determined to divert all efforts toward the creation of the State at the price of their religious brethren in Europe. For instance, in 1944, the Emergency Committee to Save the Jewish People called upon the American government to establish a War Refugee Board. Stephen S. Wise, testifying before a special committee of Congress, objected to this proposal. During the course of the negotiations, Chaim Weizman, the first “Jewish statesman,” said “The most valuable part of the Jewish nation is already in Palestine, and those Jews living outside Palestine are not too important.” His partner, Yitzhak Greenbaum, amplified this statement with the observation that “One cow in Palestine is worth more than all the Jews in Europe.” Similarly, in 1941 and in 1942, the Germans offered all European Jews transit to Spain if they would relinquish all their property in Germany and Occupied France. A key condition was that none of the deportees were permitted to travel from Spain to Palestine. The zionists opposed the offer, stating that : (1) only Palestine would be considered as a destination for the deportees; (2) the European Jews must accede to suffering and death greater in measure than the other nations, in order that the victorious allies agree to a “Jewish State” at the end of the war; and (3) no ransom will be paid. Considering the State's questionable halachic status and problematic origins, I think it is understandable that some in the charedi world refuse to recognize Yom Ha-Atzmaut as a day of celebration (not to mention that it falls during the omer). You have failed to provide (a) footnotes and (b) context. I have searched for and haven't found any proof that the mainstream Zionists scuttled plans for sending refugees to countries outside of Eretz Yisrael. Quotes are overrated. You can't bring hyperbolic quotations as proof of action or inaction. Did the leaders of the Yishuv, who were restricted by their British overlords, have the ability to save millions of Jews? Didn't they work tirelessly to revoke the White Paper? And if they didn't have the ability to save European Jews, what were they supposed to do? Stop building the country? In any case, nothing in the Three Oaths prohibits the creation of a state before Moshiach. (The Satmar Rebbe's position in not grounded in traditional sources. Indeed his own formulations, if consistently applied would prohibit the Satmar lifestyle as practiced in the U.S!) The rishonim and achronim are quite clear what's permitted and prohibited by the oaths, and the creation of a state is not one of them. I think this blog pretty much sums it all up. Haredim have been pwned! Just like the last post, you equate "non-rationalist" with Charedi. It is very insulting, and largely inaccurate. First of all, I am obviously speaking in generalities, not absolute terms. There is certainly a general correlation between the non-rationalist approach with the charedi world. Second, the point is that charedim are (generally) non-rationalist in orientation, not that non-rationalists are generally charedi. There are plenty of Modern Orthodox and non-Orthodox non-rationalists! I'm not sure why this should be significant in determining whether we should celebrate YHA, but the commenter who claimed that the Israeli declaration of independence doesn't mention God is mistaken. "מתוך בטחון בצור ישראל הננו חותמים בחתימת ידינו לעדות על הכרזה זו"
And of course, if we're going back to the time of the declaration of independence, is there any doubt that a great number of Haredi rabbis, the progenitors (and in one case, even the same rabbi!) of those who today "don't believe" in the State, celebrated when the state was declared? As far as I know, the Haredi objection to YHA and the State is not about the 3 shavuot. This is an aggadic gemara, not quoted by the rambam or SHA. It's unclear why this would have the weight to nullify what should be a clearly valuable enterprise of bringing Jews and Jewish sovereignty to Israel. As for the actions of the early Zionists, I don't think that anyone is going to claim that every decision they made was proper, or even made with the proper goals in mind. I'm not sure what that has to do with the value of the State of Israel. And regarding Jews in EY having more "value" than those outside (of course, not to be seen as agreeing with any of the type of decisions you're describing) - there is plenty of basis in chazal for such statements (i.e. only Jews in EY are to be considered "your nation"). The "three oaths" is a bogus Haredi argument against the founding of the State. This is aggadata with no halachic import whatsover. Halachic codifiers such as Rambam make no mention of these oaths and thus they are not relevant. The return of Jewish sovereignty to Eretz Yisrael in and of itself is not only not halachically "problematic" but a fulfillment of the mitzvah of yishuv haaress. Of course, this does not mean that we should approve of the secular nature of the current regime. On the contary we should strive to turn the current State into a Torah State. I would also add that Great Britain's abstention does not nullify the world's decision that a Jewish State should be founded. So what if they abstained? The nations as a whole approved the State's founding. Jeremy alludes to a little known fact: When the state was created, a few dozen rabbis, including many charedi ones (R. Tzvi Pesach Frank and many others) signed a document declaring it to be the beginning of the Messianic process. "Rock of Israel" was an inadequate compromise to many rabbinic authorities. Also the connection is that many Charedim (using this as one support) do not believe the "State of Israel" is a "real Jewish i.e. halachic state. Many Rabbis were fully supportive in the beginning of the formation of Israel but subsequently changed their position when it was not run according to Torah. There are plenty of charedim who support the country, army but not the government or "state"
To be fair, the ambiguous term Tzur Yisrael was chosen so as not to offend secularists. The secularists understood Tzur Yisrael to refer to the "spirit" of the Jewish nation (as Achad Ha'Am understood) not God. A religious declaration would have probably used the term Hakadosh Baruch Hu or something more explicit than Tzur Yisrael. But of course like you said we should still celebrate YH because we should see the hand of God in all things. Ryan: Apart from the fact that your arguments are simply not true, as pointed out already, with six million Jews living in Israel, they are absolutely pointless. The State exists; to argue as if we were living in 1948 (or, really, 1948) is pointless. Regarding the use of "Tzur Israel" in the Israeli Declaration of Independence, it was a good example of what in Israel is called "a MAPAI compromise" (MAPAI being the original incarnation of the Labor Party headed by Ben-Gurion at the time) in which you tell two different groups that a policy or a name means two opposite things. However, if you were to show someone this expression in the Declaration today, and that person had no knowledge of the argument that led to its adoption, they would assume that it is referring to G-d. The fact is that religious expression is becoming much more visible in Israel among non-religious people. For example it is now common for non-religious people to say "Baruch HaShem" and, even more suprising, it is now popular among non-religious to with everyone a "Pesach Kasher v'Sameach". Thus, today, I don't think most secular people would object to "Tzur Israel" referring directly to G-d, and not the amorphous "spirit of the Jewish people". The blog-post is correct; but doesn't show the full extent of the warped view the "non-rationalists" have. The mainstream Haredi view is mamash avodah zarah. The general objection is that geulah is supposed to be divine, done by G_d; which in their view means totally supernatural with zero human involvement. Think about that idea deeply. What would that mean that G-d does it, that it is the hand of Hashem doing things, literally? What they are saying basically amounts to a belief that HKB"H has a body, HV"S, and that until a giant hand reachs down from the sky to pluck up the Jews and bring them to E"Y and wipe out their enemies, all efforts for a Jewish state are for naught. That is why they ignore the obvious benefits of having a state, even a secular one, and the clear miracles that happened as a part of both the 1948-1949 and 1967 wars, because those miracles were derech hateva and not some gigantic hand from space. do you think yetziat mitzrayim implies God has a body? The miracles of mitzrayim are just as miraculous as the supposed miracles of mashiach. According to the Gemara, Chizkiyahu conquered his enemies through NO HISHTADLUS of his own, and would have been MAshiach, had he only said Shira. Had he sung Shira, that would have been the Geula, without our involment. What's Avoda Zara about this? Actually, some of the statements made in the context of Yetziat Mitzrayim don't only imply that God has a body, they explicitly say that they do. >When I was in yeshivah, I remember that we all viewed the Biblical and Talmudic era as being something like Tolkien's Middle-Earth. " That is interesting. Back in yeshiva, this was the cause of one of my rare skeptical moments. If Chazal could burn people with their eyes, how come they were so afraid of the Romans, and why didn't anyone else write of it? Concerning the argument that the three oaths are aggadah and not halacha, it is important to remember that there are two types of aggadah in the Gemara: 1) aggadah that explains the punishments, rewards, and mussar behind established halacha; and 2) aggadah that brings in a new halacha not mentioned anywhere else. For example, in Sotah 4b, it says that anyone who is careless about netilas yadayim is uprooted from the world. This is "type one" – the aggadah is coming to tell us a punishment for violating an established law. In Berachos 5b, it says that if two people are praying in a shul and one finishes first and leaves, they tear up his prayer, and it quotes a verse. That is "type two." The prohibition on leaving one person alone in shul is not mentioned anywhere else in the Gemara – the aggadah is the only source. The point is that halachic aggados – aggados from which a unique law emerges – do have to be codified, and when they are missing from the codes, there has to be a reason, just like we search for reasons every time the Rambam omits a law mentioned in the Gemara. Here too, the three oaths are aggadah but they contain unique halachos. The question remains: Why did the Rambam leave out this halacha? To answer, one must either: 1) find another statement of the Rambam that includes the halacha; or 2) find another statement of the Rambam that contradicts the oaths and, therefore, permitted the Rambam to determine that the oaths were a rejected opinion. Here, it can be argued that the oaths are implicit in the Rambam’s statement (Laws of Teshuva 7:5) that Israel will only be redeemed if they repent. That is, if Israel does not repent, Israel is forbidden to redeem itself. To do otherwise would be to deny the Torah’s promise of redemption after repentance. If Israel does repent, therefore, the redemption will come automatically, and it may assume sovereignty over the land. This understanding is reinforced by the Rambam's Epistle to Yemen where, relying on the source for the oaths, he writes: "Shlomo hamlech, of blessed memory, inspired by the holy spirit, foresaw that the prolonged duration of the exile would incite some of our people to seek to terminate it before the appointed time, and as a consequence they would perish or meet with disaster. Therefore he admonished and adjured them to desist, as we read, ‘I adjure you, O daughters of Jerusalem, by the gazelles and by the hinds of the field, that ye awaken not, nor stir up love, until it please.’ (Shir Hashirium 2:7, 8:4). Now, brethren and friends, abide by the oath, and stir not up love until the proper time when the Alm-ghty shall remember us and you with his trait of mercy to gather his portion from Exile to behold his glory at his holy Temple and redeem us from the Valley of the shadow of Death where he has placed us, thereby removing the darkness from our eyes and the fog from our hearts." (Ketubot 111a). Finally, even if one rejects this interpretation, it cannot be blindly said that, “The Rambam did not rule according to the oaths,” unless it can be shown where in the Talmud there is an opinion opposing the three oaths where the Rambam ruled like that opinion. Concerning those comments pertaining to the relevance of the problematic origins of the State; the origins remain relevant because there is ample evidence to show that the State was built, in part, on the blood of Jews killed during the holocaust. That is, efforts were made by Zionists to see that these Jews were left to perish in order to create increased political sympathies for Zionistic aims. Knowing that, I think it is understandable that some Jews find it difficult to dance around on Yom Ha-Atzmaut. You're citing VaYoel Moshe explanation why the Rambam didn't mention the oaths in the Yad. That reading is predicated on the Rambam understanding that יעלו בחומה only includes a mass immigration of all or a majority of Jews. Thus, the Satmar Rebbe himself agrees that the State was not a violation of שלא יעלו בחומה according to the Rambam. "there is ample evidence to show that the State was built, in part, on the blood of Jews killed during the holocaust." "in part". How much? 2%? 1%? .1%? "ample evidence". What evidence? Prove it! Without quoting cranks and fanatics. "When I was in yeshivah, I remember that we all viewed the Biblical and Talmudic era as being something like Tolkien's Middle-Earth. There were giants, dwarfs, fabulous beasts, and magicians"
The Talmud does not allow us, God forbid, to judge or assess their behavior from our limited perspective. It wishes that we recognize and have knowledge of their lives and struggles so that we may gain merit by knowing that such people once inhabited Jewish society and laid the foundation for all later Jewish scholarship--and for Jewish survival itself. And by knowing their stories as outlined in the Talmud, we can come to know, appreciate and love them." What I find irrational about the Charedi community is its obsessive love for Israeli flags. At around 9:45 tonight I was driving home from a meeting (through Ramat Beit Shemesh Bet) when a group of kids (13-year range) walked into the crosswalk and blocked my path, then proceeded to grab the Israeli flag from my car window. I pulled over, and they ran off, no doubt to quickly affix it to the wall of their shteible in time for Yom Ha'Atzma'ut. Irrational? Yep. Chutzpadik, shameless, and zero respect for other human beings or their property? Absolutely. But still you gotta love the patriotic little rascals! Ryan, I find it interesting that a Satmar Hassid (maybe Toldoth Aharon?) such as yourself is visiting this blog, let alone cyberspace at all. It seems that gedolim of the Satmar variety do not allow for such cyberspace activity. Yes, there were Zionists who did and do reprehensible things. And yes there were Haredi rabbis who told their followers to stay in Europe during the Holocaust, thus dooming them to the gas chambers. There is plenty of blame to go around-the significant question is should we celebrate the fact that Hashem has given us Jewish sovereignty after thousands of years without, or should we focus on the way which Hashem chose to give it to us. elemir, The fact that Nehemiah8 only mentions a celebration on Tishrei 1 and another starting on Tishrei 15 doesn't imply that there wasn't a holiday (Yom Kippur) on Tisrei 10. As the adage goes, "Absence of evidence is not evidence of absence". The torah refers to Yom Kippur several times in Vayikra (Acharei Mot and Emor) and once in Bamidbar (Pinchas). The reason for the omission in Nehemiah 8 may well be due to the fact that nothing was innovated on that day. The required sacrafices were made, and the people fasted and did no work. On Rosh Hashanna, in contrast, the torah (Devarim) was read publically - something that wasn't biblically required. That reading catalyzed a religious fervor among the masses who then prepared to celebrate Succot in more complete adherence to the torah's prescriptions than had been done before from the times of Joshua. Ryan S., Your argument about the 3 oaths mentioned in Ketubot 111a is irrelevant after the fact. The fact is that Jews have a state in their biblical land and that 6 million Jews live there - including several hundred thousand who might subscribe to the 3 oaths issue. If they believe that forming that state was a disaster for the Jews and doomed to destruction, why don't they leave? Instead, they stay and derive benefit from the Jewish state. Having derived such benefit, it is unseemly to then show open disdain for the celebration by other Jews. After all, hakarat hatov is an important value in torah and halacha. In sum, the 3 oaths argument is a dead letter trotted out only to excuse the bad behavior by some. The historical type arguments you raised are revisionistic in nature. You would need to cite examples from the historical record that the leaders of the Yishuv (Jewish Palestine) wanted the Jews in Europe to be killed so that the nations would subsequently grant statehood out of a feeling of guilt. Any statement after the fact, is but a consolation and doesn't reflect some wish while it was happening or prior to it. HaRazieli --- Actually, I’m a clean-shaven Ashkenazi BT attorney that’s a big R. Slifkin fan. And I love “cyberspace.” ;) Concerning your other point, I’m not so sure Hashem gave us the State with His blessing. Hashem helps people and nations do things, even when it is not the best thing for them. As you know, Hashem lets us exercise our own free will and trip over our own two feet. Perhaps you’re right, and it’s a blessing. But, perhaps it’s not. At this juncture in our history, I don’t think we can know for sure. If some Jews want to hold-off celebrating until they do, I think that’s reasonable. Y. Aharon --- If someone that believes in the applicability of the three oaths relies on the State for their protection and derives benefit from being their (social services, etc. ), I think it would be hypocritical if they didn’t celebrate the State itself. With respect to why they don’t leave, I think they probably believe that while the State may not be kosher, Hashem is not about to obliterate the Jews that live there. With regard to your other point, I mentioned two specific examples of Zionist leaders sabotaging other Jews to create Zionist sympathies in my original post. There are others, but none that specifically involve leaders of the Yishuv. But, would it make a difference for you if I did? They way I understand your post is that it’s ancient history, and the State of Israel is part of the here and now. I agree, and I daven every day that Hashem protect the Jews that live there. My point of contention is whether the State itself is a cause for celebration. And I think that there’s a reasonable basis for saying that it’s not. "I mentioned two specific examples of Zionist leaders sabotaging other Jews to create Zionist sympathies in my original post. " You cited two quotations without proof or context. And even if you back up your claim, all you would be left with is "talk". Talk, is no proof of action or inaction. Again, no evidence of sabotage just speculation & suspicion. You are falling for the propaganda line that Ben-Gurion, and the MAPAI-MAPAM Left have drilled into everyone's heads----that THEY built Israel. It was he Jewish people people the modern yishuv and state. PERIOD. Not Ben-Gurion, not the kibbutzim, not the Jewish Agency, and not even the IDF as an institution. It was ordinary Jews who in their day-to-day lives, working, fighting or studying who did it. The people and organizations I mentioned above played a role that might be viewed as generally positive or negative, but it is the role of "Am Israel" in building the state, with G-d's help that I celebrate on Yom Ha'atzmaut, regardless of what various leaders may or may not have done. Ryan - The historical fact is that the people who took action to end the galut, those who went to live in the land of Israel even against the will of the ruling powers ( first the Ottomans, then the British ) were the ones who survived, while those who took no action and stayed in Europe waiting for divine intervention where destroyed. Ryan, can I ask exactly when Jews took these "oaths"? I mean, when in Jewish history? During the time of Shlomo? That's when the sefer was (supposedly) written, but the Jews were still firmly in their land then. Later? But the oaths had already been "given!" Face facts: The whole discussion of the oaths is murky, is valueless halakhically, is built on aggada which is built on aggada, is nothing more than one Amora's opinion, if that, and is meaningless 62 years after a state came into existence, and with millions of Jews living here. You're living in the past. Y. Aharon: Yom Kippur is certainly skipped (according to all) by Shlomo. The question is why. Robert makes a perfect point, especially to those who talk (this is ugly) about "blaming" the Holocaust on Zionism. One may wonder then why davka Israel wasn't touched. Ryan, what will be good enough for you? When will you stop "waiting and seeing?" Will it take a Beit HaMikdash, or will that be "wait and see." You walk down the street in Israel, you see miracles every second. And that alone gets Hallel from me. Listen, who cares?! But can the Ultra-orthodox pay some taxes please. I am sick and tired of picking up for their ineptness. thanks guys! i see it the other way. my rationalist view of judaism tells me that there is no religious meaning in a secular state. what makes it a religious thing? to me, the point of the state is to protect jews from a possible future holocaust. i don't say hallel or celebrate the day that hatzalah of boro park was created. i do respect those who do see the state in a religious light, but i wouldn't call them rationalists. as for hareidi non recognition of the meaning of the state, i'm fine with it. of course their politics probably plays a bigger role than religion. as for people looking holy, i don't know what that means. humans look like humans. the hida in shem hagedolim describes rabbi yehoshua of krakow, author of the pnei yehoshua as looking like an angel. "mar'ehu kemal'ach ha'elokim"
"he point of the state is to protect jews from a possible future holocaust. i don't say hallel or celebrate the day that hatzalah of boro park was created." That is because you don't know halakha. if the jews kept YK in that year on the 10th...why did they repeat a national fast on the 24th again?? i think a more reasonable interpretation (supported by the fact that the whole concept of kapporah as a cleansing mechanism is missing from pre-exilic books) is that YK was only a kohanic day, maybe once a year and NOT as yet fixed. Shilton HaSechel: What is the relevance of Yitziath Mitzrayim to what I wrote? In the humash it clearly says that the nes was derech hateva, that a great wind came and blew back the waters. It was a miracle, but done through nature. There were also miracles in the 6 day war and War of Independence. The problem is that the Haredim don't want to recognize it because their view of what a miracle is is warped and Christianized. Y. Ben David - That may very well be the case. I'm simply explaining another perspective some Jews have. Robert - I don't doubt that we have a mitzvah to live in the land, and that when we attempt to fulfill that mitzvah, Hashem takes steps to protect us. What I'm setting forth is that there is a halachic basis to suggest that the creation the Jewish state contravened the three oaths. So you know, there were many Torah leaders that held that the creation of a Jewish state is precluded by the three oaths, including Rabbi Yosef Chaim Sonnenfeld, Rabbi Samson Raphael Hirsch, Rabbi Chaim Soloveichik of Brisk, Rabbi Sholem Dov Ber Schneersohn, Rabbi Betzalel Lowy (the Maharal of Prague), and others. Nachum - R. Yossi ben R. Chanina says that Hashem made Israel take the oaths, but does not say when. (Ketubot 111a.) I'll look into this some more. As to "what will be good enought for you," the answer is that I'd need to see more than I do now. What I see now is that: 1) great Torah leaders across the hashkafic spectrum held by the three oaths; 2) the State of Israel is the most dangerous place for Jews in the world. I think it is, therefore, reasonable to say that the verdict is still out on whether the State's the blessed entity you think it is. "the State of Israel is the most dangerous place for Jews in the world. " On a per capita basis? Please cite relevant statistics that prove your point. The fact is that: "the State of Israel is the most safest place spiritually for Jews in the world." Is there is any country which has lower intermarriage rates? Nachum, The apparent omission of Yom Kippur in the 2 week celebration of the inauguration of Shlomo's temple is striking, but can't be construed as proof that the concept didn't exist then. Rather, the events should be considered a "hora'at sha". The king, it appears, wished to have the multitudes assemble before the temple to witness both its week-long dedication followed immediately by the Succot celebration. That way would lead, he felt, to a greater involvement in both personal religious and temple observance. He, apparently, didn't see a way of getting the masses from outside J'lem to attend both functions if there was a hiatus in between. elemir, your citation of a fast day declared on 24 Tishrei in Nehemiah 9 doesn't indicate that there was no fast on the 10th. As I noted earlier, the only events recorded are those which involved an innovation. That fast day was a response to the admonitions in the torah that was read publically, and done in conjunction with the great oath (amana) taken by their notables and representatives to faithfully follow the torah. Besides, your view that Yom Kippur wasn't known until later times isn't consistent with its mention in Leviticus and Numbers. I don't believe that even the DH proponents attribute the authorship of those portion of the torah to such a late date. Ryan S., Your arguments for not celebrating Israel Independence day appear to be taken from or are consistent with the views expressed by the late Satmar Rav, R' Yoel Teitelbaum. However, all his would-be proofs have been contested, including his interpretation of the Maharal. R' Gil Student has republished some informative and balanced essays of his on the subject in a current post on his Hirhurim blog. He asserts, among other things, that the Maharal's statements about the 3 oaths in his sefer, "Netzach Yisroel" are ambiguous. However, his commentary on T.B. Ketubot are unambiguous. There he treats the 3oaths figuratively as denoting the impossibility of hastening the massive return to Israel. The fact is, however, that such a return has occurred. Hence, according to the Maharal, it must have been so ordained. This would constitute a reason for celebrating rather than not celebrating.
" R' Gil Student has republished some informative and balanced essays of his on the subject in a current post on his Hirhurim blog. " Kudos to Rabbi Gil for revisiting his vintage work. But there's not need to depend on a Zionist sympathetic blogger. Look at the sources: The rishonim & achronim understand the oaths in a manner not consistent with the non-traditional דעת יחיד of the Satmar Rebbe. Nothing in the oaths prohibits a state before Moshiach. Y. Aharon, that's the whole *point* of the DH. In any event, you should read the Divrei Hayamim account of the story and how it treats the "first" eight days and Shemini Azeret. It's very interesting. "great Torah leaders across the hashkafic spectrum held by the three oaths"
Huh? One very narrow band- Hungarian chassidim- holds of it in any way. Period. "the State of Israel is the most dangerous place for Jews in the world"
Please. It was probably a lot more unsafe here in the days of the Yehoshua, the Shoftim, and Ezra. And today? To use the old line, less Jews have been killed in Israel in 62 years than were killed in one day in Auschwitz. About 22,600 soldiers have fallen since the founding of the State of Israel. In the last century more than 6 million Jews were murdered in galuth. If one takes a long term view-Israel has shown itself to be safer than galuth. We prefer to forget that Europe and the U.S. are shifting to an anti-Jewish mode. "Similarly, in 1941 and in 1942, the Germans offered all European Jews transit to Spain if they would relinquish all their property in Germany and Occupied France. A key condition was that none of the deportees were permitted to travel from Spain to Palestine. The zionists opposed the offer, stating that : (1) only Palestine would be considered as a destination for the deportees; (2) the European Jews must accede to suffering and death greater in measure than the other nations, in order that the victorious allies agree to a “Jewish State” at the end of the war; and (3) no ransom will be paid." And the source for this dispicable nonsense is? Y. Aharon - I don't think that's a proof that the oaths are no longer in effect. According to the Maharal, if we immigrate en masse and DO NOT FAIL, the time of the exile has ended. Your assumption is that since there's been a mass immigration to Israel, the oaths are no longer binding. But the key question is whether the mass immigration succeeded. I think that it's way too early to tell (Iran is close to developing a nuclear bomb and wants to wipe Israel off the map, our key allies are turning against us, etc.) How does Gil Student know that things won't end, G-d forbid, in disaster? Please understand, I want you to be right, and I want me to be wrong. All I am saying is that, at this point in our history, I don't think we can say that the three oaths are no longer binding. >>>> Besides, your view that Yom Kippur wasn't known until later times isn't consistent with its mention in Leviticus and Numbers. 2) and maybe when it went national, only then was it fixed on the 10th. As for the DH dating Leviticus and Numbers, I’m no expert but my reading on that is that biblical scholars are completely confused with their proposed dating. And I think that’s because maybe the Books were developed (or accepted as canon) over a long period of time. How is it that in L&N, the theme of Kapporah and that idea that one of the primary purposes of temple offerings was to effect “Kapporah” is so pervasive and yet not found (I believe at all) in pre-exilic Nach. I understand it is just a tangent of this conversation, but it has always seemed to me that the 3 oaths were fulfilled. Israel was not formed until it was voted on by the U.N. Most Jews who moved to Israel did not rebel against their host nations. They were exiled, or maintain dual citizenship. So what part of the oaths is not being fulfilled? There are other momentous events in our long history that we do not commemorate with a holiday. We don’t celebrate the day the Mishkan was built or the day either Bais Hamikdash was built. We also do not celebrate the day we entered Eretz Yisrael with Yehoshua. Each holiday that we celebrate, Biblical or Rabbinic, is meant to convey a particular lesson to future generations. Possibly, the lessons that can be derived from Yom Ha’atzmaut can already be derived from the other holidays already on our calendar. Pessach, for example, teaches us about freedom, redemption, and that Hashem keeps his promises to us. Chanukah is already a celebration of the few against the mighty. In Purim we see that Hashem will not allow us to be wiped out by the enemy. While the creation of Medinat Yisrael was certainly miraculous, the holiday celebrating it may be redundant. >>>> Possibly, the lessons that can be derived from Yom Ha’atzmaut can already be derived from the other holidays already on our calendar. Pessach, for example,…..
That’s a nice thought Reb Dovid. Do you insert some kind of acknowledgment or prayer into your Seder? Or any other day of the year for that matter. I believe that if we lack “hakorat hatov” for these incredible miracles of late, it only augers bad for Am Yisroel. My goodness, saying a few choice kapitlach tehillim, at the minimum. And as for not saying tachnun, most Chassidim will skip tachnum at the drop of a hat, but sadly make sure to say it today. who take mitzvoth seriously make aliyah (or are striving to) and support those forces who will bring about a government which wil want to build the beit hamikdash. The "three oaths" are an excuse to not do anything but wait in galuth for "something to happen". At most they are agadeta which does not nullify halacha which requires us to settle the land, create a State, make a Sanhedrin,etc. That "something" that needs to happen is us good Jews taking action and not expecting history to change without our doing anything. If good Jews would stop deluding themsleves and get out of the fleshpots of Boro Park and Monsey we would be making much more progress. Btw, I would urge Jews to hear the audio-shiurim of Rav David Bar-Hayim at www.machsonshilo.org where he has extremely persuasive arguments in line with what I have stated. The Rav, zt"l, Rabbi Joseph Soloveitchik, was an ardent Zionist. While he probably was not a "rationalist" as you define that term, he certainly was extremely rational. I have a tape of a Yarchei Kallah shiur of his in Boston from the ealy 80s, (I attended the shiur myself), where the Rav unequivocally stated that adding to the Jewish calendar by establishing Yom Hashoah and Yom Ha'atzma-ut (mentioning these 2 days by name) is forbidden. He said that this isn't a matter of Zionism; it is a matter of halacha. It is true that the Rav may have changed his mind on this issue earlier a couple of times - but this represents at least one of his confirmed opinions, as recorded in the public shiur. The point is that one can be a very ardent Zionist, and still not celebrate Yom Ha'atzma-ut on halachic grounds. So the claim that there is a connection between "rationalism" and Yom Ha'atzma-ut may be true for some or many people, but not for all. The dedication of the Mishkan IS commemorated this day by not saying Tachanun the first 12 days of Nisan. The massive Kibbutz Galuyot which we celebrate on 5 Iyar (the day the gates were thrown open to all Jews in 1948) was a gigantic event, far outstripping that of the Shivat Zion period on the early Second Temple era. It is not just "another" even in Jewish history. Bostoner, when it came to matters like this, the Rav was certainly not a "rationalist" as defined here. He seemed to have this attitude that things sort of remained as they were from about 1900. (Not coincidentally, perhaps, he was born around then.) That is, he felt that nothing could be added to the siddur (ignoring that the siddur has been altered many times), he was very suspicious of new manuscript discoveries, and so on. Not judging him one or another, not that I could, but these are well-known facts, and his opposition (if any) to Yom HaAtzmaut should be seen in that light. Needless to say, he was a great Zionist and supporter of Israel, and did mark the day, in his way. It's kind of hard to cite him as support here. Just for informational purposes, the Koren Sephardic sidur I daven from has on it's first page a hascama from Rav Ovadia Yosef. The sidur states that Hallel is said without a bracha on Yom HaAtzmaut and Yom Yerushalyim. So Ryan, what does that mean to you? Hi Robert - It tells me that he thinks it's kosher to have a Jewish State. Interestingly, he used to say that one "should" say Hallel, without the blessings preceding and following it. Now he says one "may" say Hallel, without the blessings preceding and following it. 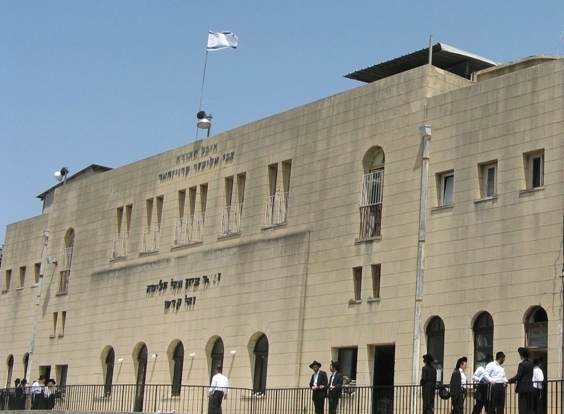 Nevertheless, there are a number of Sephardic organizations and rabbis that do not support saying Hallel on Yom HaAtzmaut, such as Rabbi Yaakov Hillel and the Edah HaCharedit HaSefaradit. Question:" My haredi friends cannot believe they said hallel at Ponovich in on 5 Iyar in 1949. Can you point me to any documentation to support that?" Anser: "Regarding Ponoviz: it is fairly common knowledge. I heard it stated explicitly by a Haredi gentleman on the radio a few years ago who was a student at Ponoviz at the time. It is well known that the RY and founder of Ponoviz, Rav Kahanaman insisted on having the Israeli fag flying from the yeshiva's roof top, and I believe that this is still the case. It was not only Ponoviz. Till the early or mid-50's, Hallel was being said in many places in Geula and Mea Shearim, including the stieblach in Zichron Moshe. Just ask the famous Porush family. (The Rav of ZM at that time was Rav Nisan Zaks, son-in-law of Rav Harlap who was a talmidh muvhaq of Rav Kook). The same was true of the Shikun HaRabbanim (next to IBA in Romema) where Hallel was said until a bunch of Satmar thugs strode into the schul on YH morning one year carrying poles and sticks and announced that Hallel would not be recited that morning. That is how things work in the Haredi world, and not only in the Haredi world. Within a few years it goes by the name of Daas Toyro. I know someone (who requested that I mention his initials only - Y.S.- and that should tell you something) who began learning in Yeshivath Kol Tora in Elul 5728 (1968). He has told me more than once that on YH Tahanun was not said. He further relates that on YY, 28th Iyar, the lunch in the yeshiva was more festive than usual; that at 5 pm they finished the seder and the entire yeshiva went to the Kotel to say Tehillim, led by Rav Bodenheim (a Ram at Kol Tora to this day), and then danced and sang. This was the practice in KT during the 4 years he learned there. He told me that about 10 years later he met a madrich in the yeshiva who told him that things had changed. Thank you Rav Slifkin for this stimulating post which broight interesting comments. nachum and elemir, why would you assume that I haven't looked at the description of Shlomo's temple inaugural in Chronicles I? There is no allusion to Yom Kippur in the king's long prayer because he is only asking for special divine consideration when people sincerely pray in the temple or towards it. The idea of divine forgiveness on Yom Kippur if people fast and repent their known misdeeds (and correct any wrong to another) is stated in the torah and needs no additional appeal. what I meant was, compare the extensive role "kippur" played in the inauguration of the mishkan and the role it played in the inauguration of the temple. to my mind, it is very logical to assume that Shlomo either never heard of kippur or it wasn't relevant to him. and there is a reasonable limit to applying the argument "the absence of ..."
Great post then, great post now. One correction to R. Lipman's article - I think he means II Kings 14, not I Kings - otherwise he's conflating the two Jeroboams. "The Bible its elf explains that the time came for this “redemption”"
I'm a big time rationalist, and very much see the divinity in Israel, but yet I dont say Hallel, - because its hypocritical. For 364 days of the year I grumble like a grinch that we have too much davening, too much hallel, etc. So shall I then suddenly get all frum on Yom Haatzmaut and insist on Hallel?? So basically I dont say tachnun, warmly wave at and cheer on the dancing celebrants, and dont say hallel. Since the Charedi world generally doesn't learn tanach and for sure they don't read today's haftarah for Yom Haatzmaut, they must miss when prophecy becomes reality. R Slifkin- Where is the line between post chareidi and dati leumi non mamlachti? "Since the Charedi world generally doesn't learn tanach and for sure they don't read today's haftarah for Yom Haatzmaut, they must miss when prophecy becomes reality." Actually I heard that haftorah on acharon shel pesach. If you think they have a problem with Israel, etc., can you imagine the problem they have with the fact that most of their Gedolim were so wrong re the Holocaust, etc., while the secular Zionists (especially the anti-religious ones) and people like Jabotinsky were spot-on? Nachum: As you correclty note, Rav Soloveitchik was extremely conservative on liturgical issues. This is separate from his religiously positive attitude toward the State. I will be saying hallel with a beracha on fri. morning which is when 5 Iyar falls, said the beracha "sheasa nissim" and am adding "Al HaNissim"
Regarding the three shevuot. Wasn`t that basically a reaction to the Bar kochba rebellion ? After all,they almost were annihilated in the attempt,and the chazal wanted,first,to put a legal roadblock in the way of any future uprisings. Second,they wanted to have some evidence in the gemarah,where the gentile nations were always looking,to show that Jews were forbidden to mutiny against the government of the nations they lived in. Gil Student once wrote in his blog that galus may simply be a state of mind. One last point. I once heard a rabbi say that the Rambam was once asked why the galus was so long ( even then ! ) His answer was because the Jews didn`t study warfare. Does anybody know about this ? I believe it's his letter against astrology. וזו היא שאבדה מלכותנו והחריבה בית מקדשנו והאריכה גלותינו והגיעתנו עד הלום. שאבותינו חטאו ואינם, לפי שמצאו ספרים רבים באלה הדברים של דברי החוזים בכוכבים, שדברים אלו הם עיקר עבודה זרה, כמו שביארנו בהלכות עבודה זרה, טעו ונהו אחריהן, ודימו שהם חכמות מפוארות ויש בהן תועלת גדולה, ולא נתעסקו בלמידת מלחמה ולא בכיבוש ארצות, אלא דמו שאותן הדברים יועילו להם. ולפיכך קראו אותם הנביאים סכלים ואווילים. ודאי סכלים ואווילים היו, ואחרי התוהו אשר לא יועילו הלכו. His point seems to be that learning war tactics would have been more effective in staving off the Temple's destruction than reading Astrology books (see recent posts), but not that it prolonged galus. Earlier in the comment thread, the idea of the three oaths was mentioned. I find it very objectionable that nobody has already mentioned that the 3 oaths were fulfilled TWICE! Once in 1917 when the British Empire gave told the Jews that they can go home to Israel and have a Jewish State, and the Second time when the United Nations, recognized Israel as well. Some say that the League of Nations, was created just so that the literal words of the oath could be materialized as in the "nations of the world". We did NOT rise up against them, rather they rose up and declared Israel our homeland. Weather the 3 oaths are Agadatah or Halacha, they have been maintained and were never violated! Charedim, being forbidden to learn "secular history" of course, wouldn't know a thing about this. This last comment is extremely important, and ties together both this post and the previosu two posts (about astrology) very nicely. It ought to be highlighted by RNS. Intresting that the Rambam speaks about wasting time on astrology, rather than on statecraft. I wonder if the preoccupation with the creep of halachic minutia we have experienced since the time of shulchan aruch, can be seen in the same sense. Religious Jews think this will be their salvation, but in reality, as the Gemara itself calls it, these "havayos of abbaye and rava" are marginal. By the way,anybody notice how many times in Tanach that there is a siege around Yerushalayim ? It`s like a recurring theme. Strange to say that Rav Soloveitchik was so conservative on liturgical issues. He didn't say "yekum purkan shmaya", I believe that he didn't say "mizmor chanukat habayit ledavid" before psukei d'zimra and he introduced other changes to the nusach tefillah which he used. A conservative is one who is resistant to change. They require strong arguments and rigorous proof before allowing innovation. That doesn't mean they reject all change in every situation. One can be conservative without subscribing to חדש אסור מן התורה. Could it not be that the Chazal put the three oaths in to appease gentile authorities? Also to those who say how can they support a government who didn't mention God in its declaration of independence, they did albeit very deceptively but God is mentioned more in the declaration then in Megilas Esther (that is zero times) and we celebrate Purim! 4) Piecemeal, peaceful and legal immigration of groups of Jews is considered "ascending as a wall". If any of the above conditions are not proven, you can't make the argument. Consider that it took a super-genius-gaon like the Satmar Rav to make the case. And the best he could do was to include conflations, half-quotes, declarative statements without proof, self-contradictions, and assertions that those inspired by the events of '67 to return to Orthodoxy were noא really בעלי תשובה. What really gets me are the lies and implicit censorship. The anti-Zionists refuse to mention how many top-rank gedolim were either outright Zionists or somehow otherwise sympathetic. The Netziv, Isser Zalman Meltzer, Sholom Yosef Zevin, Menachem Kalischer, Shraga Feivel Mendlowitz, the Sde Chemed and maybe even the Bais HaLevi are absent from their history books. Many others can be considered sympathetic and countless viewed the events of 1948 as religiously significant and if they were "agnostic", they were cautiously optimistic. Ryan makes several errors. Even if we were to assume that all his quotations are accurate they would add up to nothing. They reflect, at worst the actions of a few Zionists who do not represent the hundreds of thousands of Zionists of many ideologies and streams. And yet these Zionists, were working under war conditions, without power, money or even sources of reliable information. They certainly weren't trained to be experts in rescue matters. He takes the quotations out of historical context, and relies on perhaps two or three books for all his propaganda. Can anyone give me the date and context of the "One cow" quotation? If the situation was viewed as hopeless, since the world powers refused to offer the Jews asylum anywhere, the statement may have reflected a sad reality rather than a policy. Could it be that Chazal put the three oaths in to appease gentile authorities? It would make sense more sense than the idea of the oath itself. Also to those who say how can they support a state who didn't mention God in its declaration of independence? The government did albeit very deceptively but people should know God is mentioned more in the declaration then in Megilas Esther (where there is no mention at all) and a celebrate Purim! Ryan s,you must be a very successful attorny ,if the way you factualy and systematically argued your point here is any indication.Any time people have to resort to personel attacks like those leveled at you ,its a clear indication of your opponents weak argument. ((m sure rabbi slifkin would agree)I second your notion that for most charedim(certainly mainstream yeshivish non satmar)the State and its founding is not a black and white issue but rather somewhere in the middle ,possesing both good and evil traits. newcomer, Ryan's arguments are not that things are "not black or white," but that the State of Israel is simply bad, r'l. Citing the three oaths leads inescapably to that conclusion. As soon as you start saying that there are some good things about Israel, well, congratulations! You're a Zionist. The Satmar Rav would be ashamed of you. Just a note, you might want to pay attention to which YEAR comments were made, not just the month they were made in. I made that mistake myself. It's likely some comments being addressed to certain people will not be responded to because of that.